Eviva Lugano 24 inch Rosewood modern bathroom vanity with a white integrated acrylic sink is just what your bathroom needs. 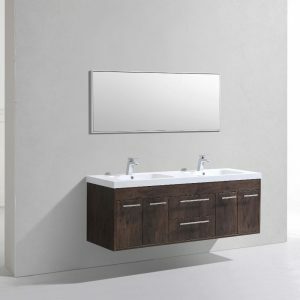 Its modern design makes it one of the best-selling bathroom vanities on the market today. 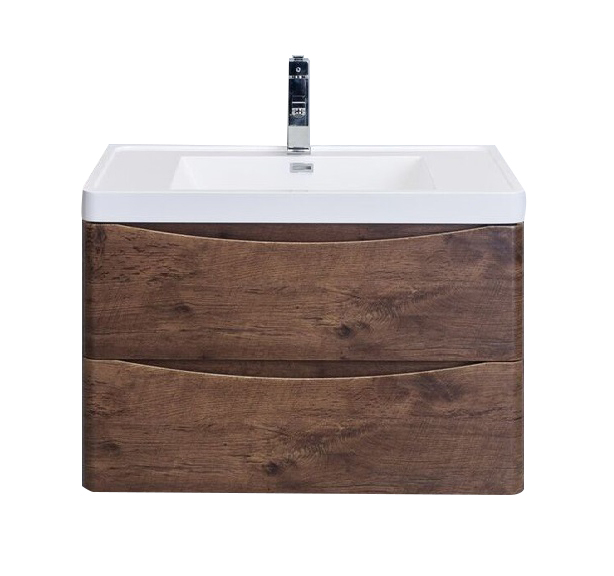 The white integrated sink gives it a clean look with no required maintenance. 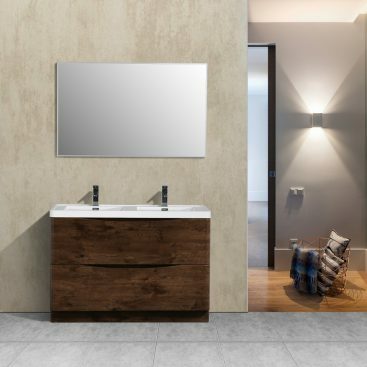 If cutting-edge contemporary design is your style, then the Lugano vanity is for you – modern, chic and built to last a lifetime. 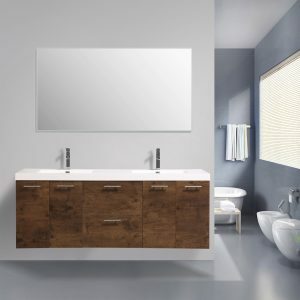 Price Includes: Bathroom Cabinet, Vanity Top (Sink). 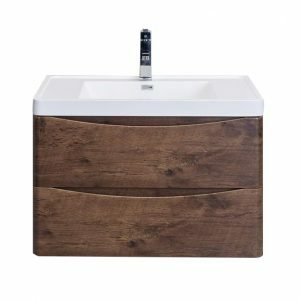 Eviva Lugano 30 inch Rosewood modern bathroom vanity with a white integrated acrylic sink is just what your bathroom needs. 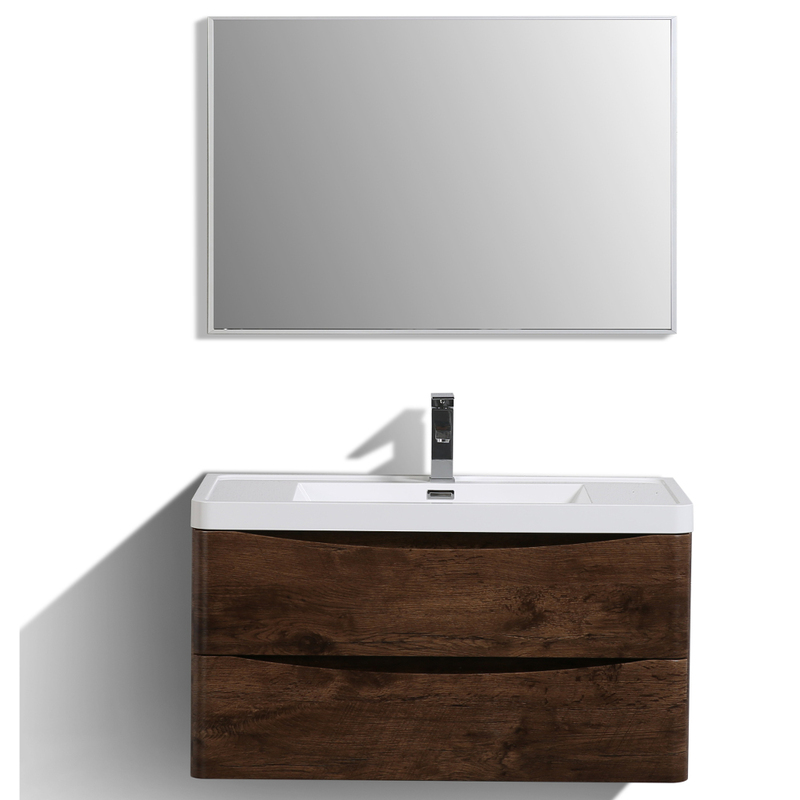 Its modern design makes it one of the best-selling bathroom vanities on the market today. 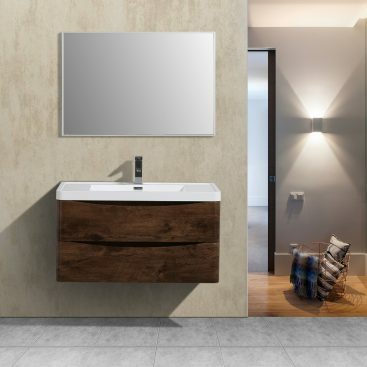 The white integrated sink gives it a clean look with no required maintenance. 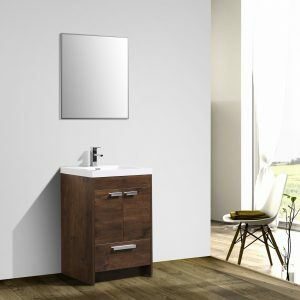 If cutting-edge contemporary design is your style, then the Lugano vanity is for you  modern, chic and built to last a lifetime. Price Includes: Bathroom Cabinet, Vanity Top (Sink). 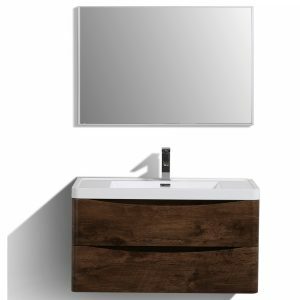 Eviva Lugano 60 inch Rosewood modern wall mount bathroom vanity with a white integrated acrylic sink is just what your bathroom needs. 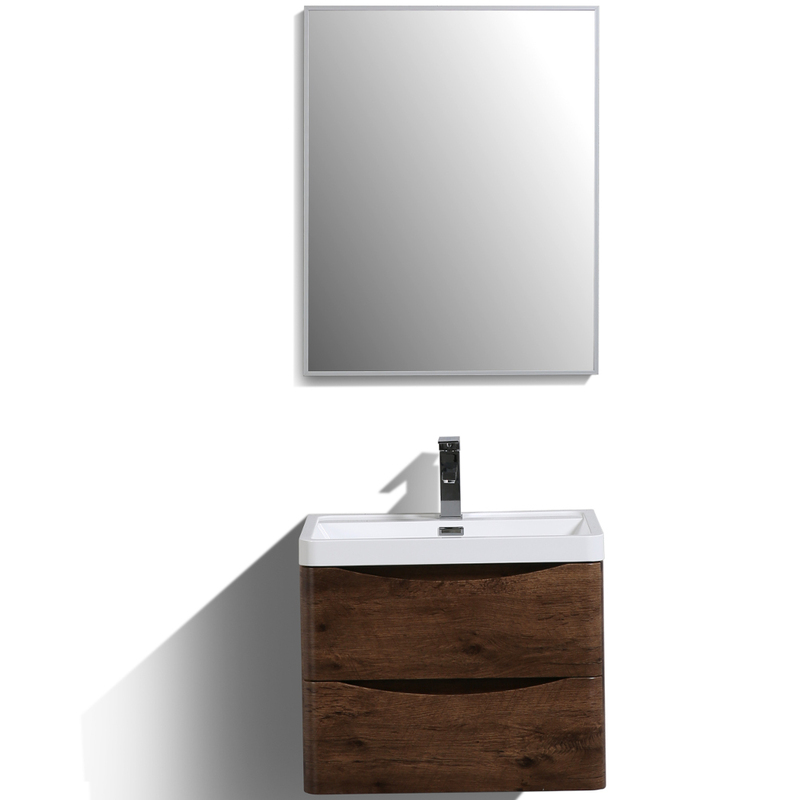 Its modern design makes it one of the best-selling bathroom vanities on the market today. 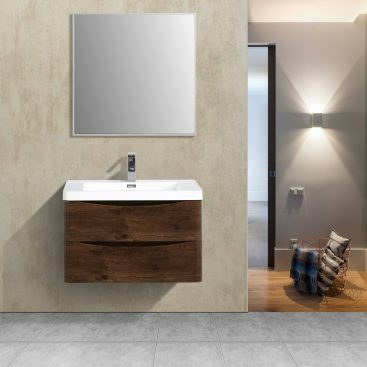 The white integrated sink gives it a clean look with no required maintenance. 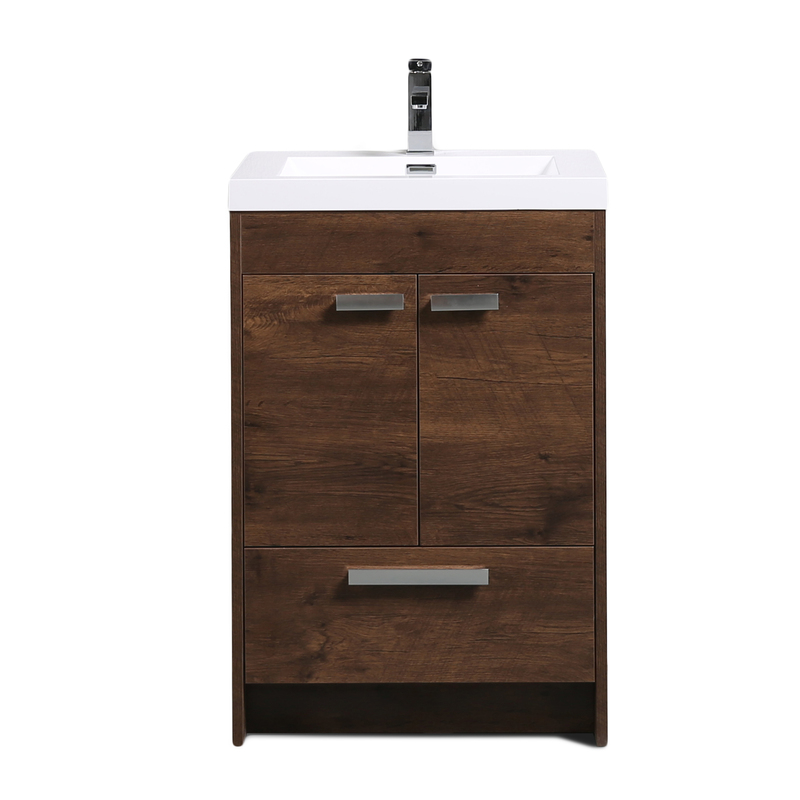 If cutting-edge contemporary design is your style, then the Lugano vanity is for you – modern, chic and built to last a lifetime. 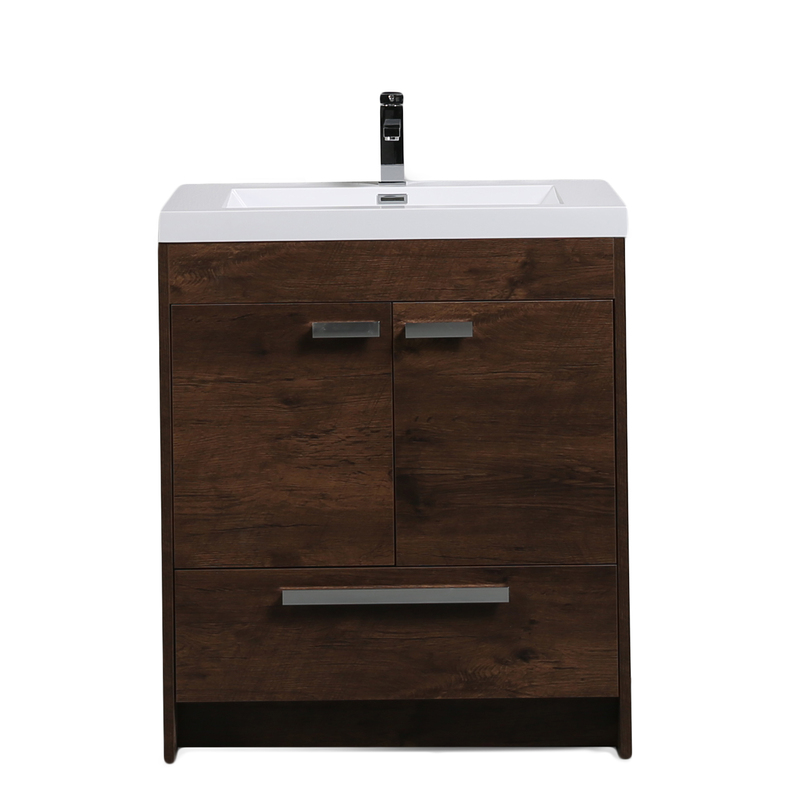 Price Includes: Bathroom Cabinet, Vanity Top (Sink). 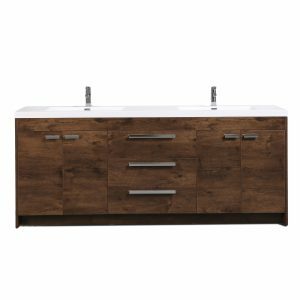 Eviva Lugano 84 inch Rosewood modern bathroom vanity with white integrated acrylic sinks is just what your bathroom needs. 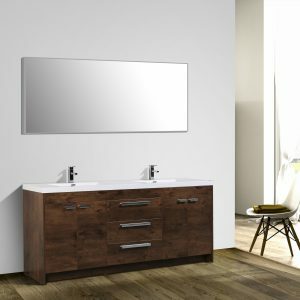 Its modern design makes it one of the best-selling bathroom vanities on the market today. 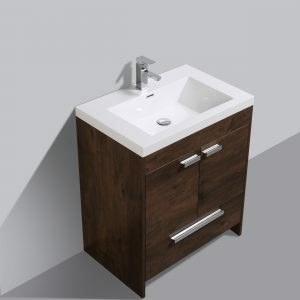 The white integrated sink gives it a clean look with no required maintenance. 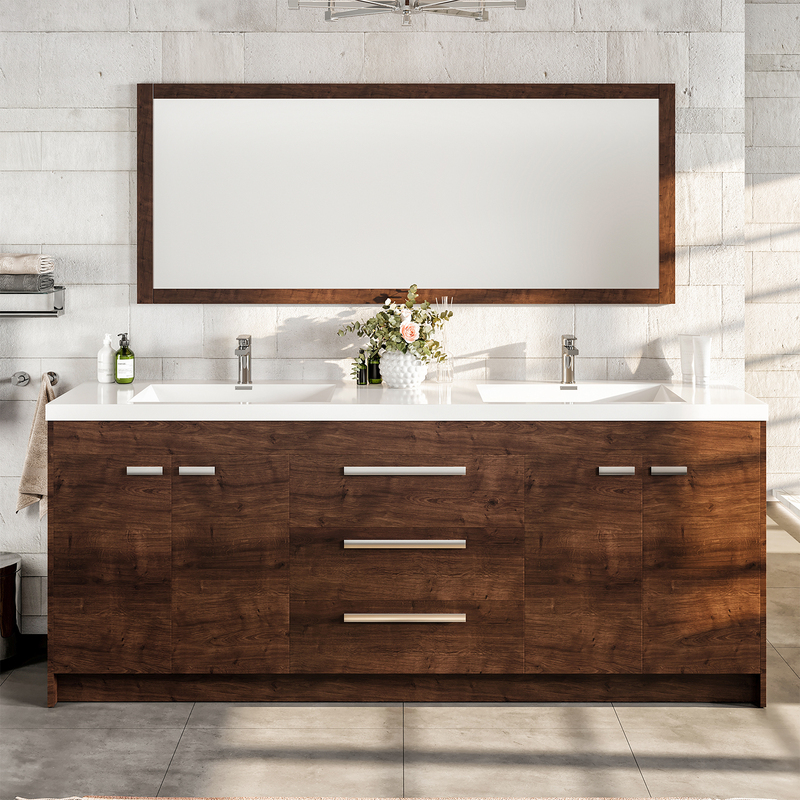 If cutting-edge contemporary design is your style, then the Lugano vanity is for you  modern, chic and built to last a lifetime. 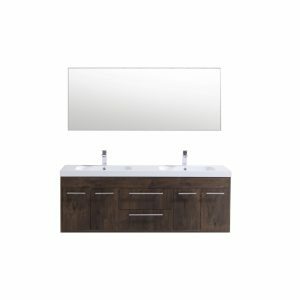 Price Includes: Bathroom Cabinet, Vanity Top (Sink).  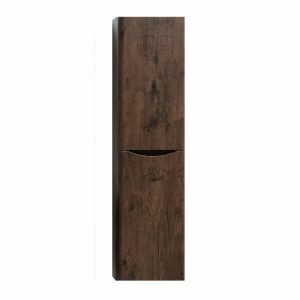 Eviva Smile 16″ Rosewood Modern Wall Mount bathroom side cabinet storage is one of the best collections Eviva offers. 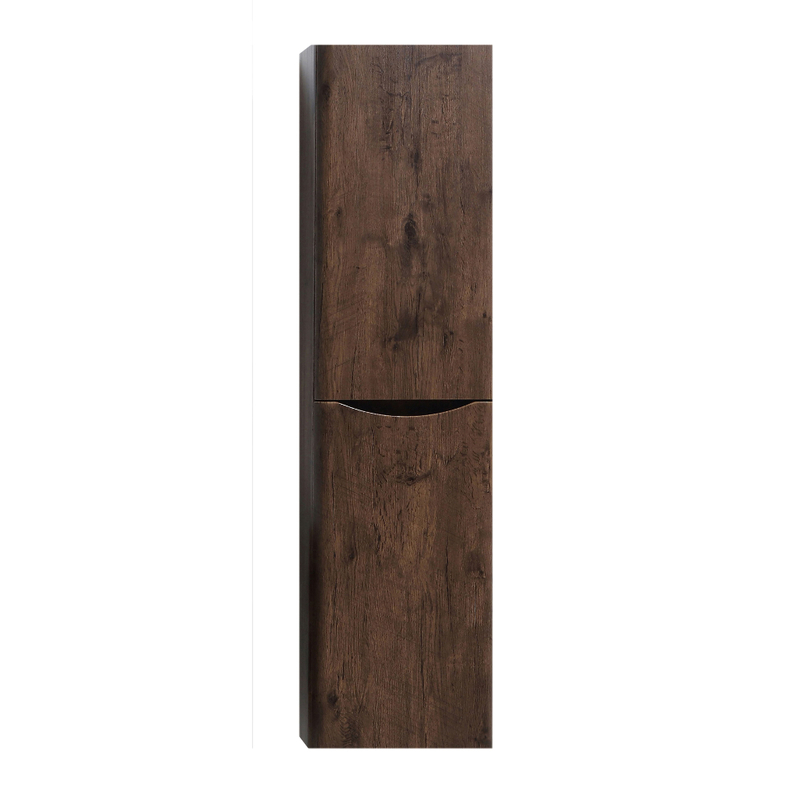 If a sleek modern look is what you are looking for, then the Eviva Smile has everything you need in a bathroom side cabinet including great storage space. 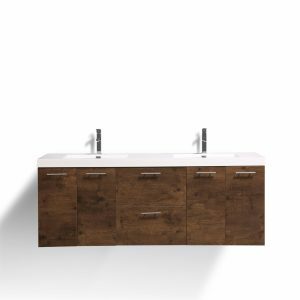 Eviva Smile 30″ Rosewood Modern Bathroom Vanity Set with Integrated White Acrylic Sink is one of the best vanities that Eviva has to offer. 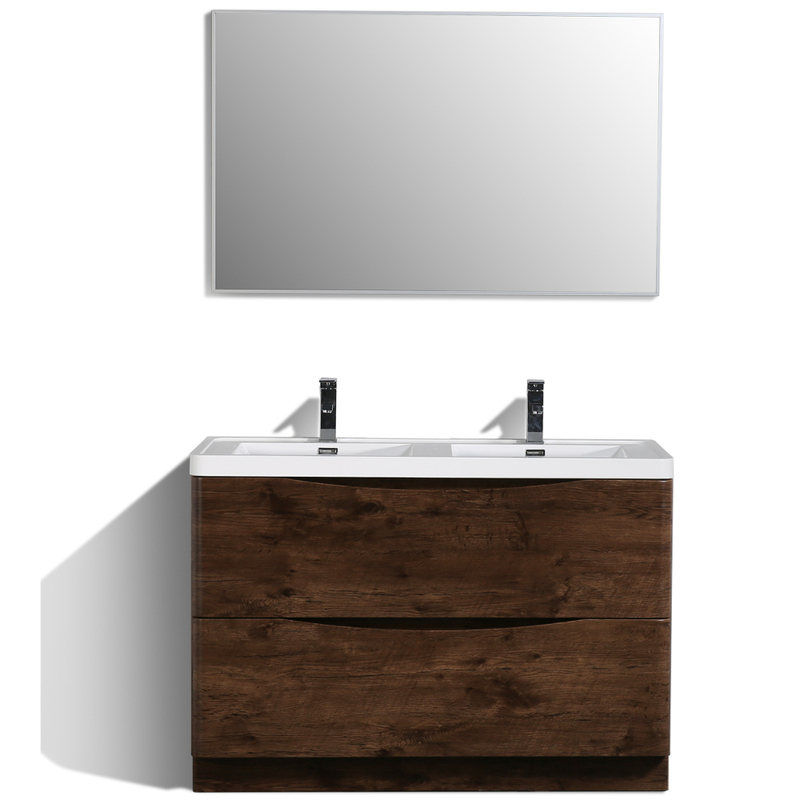 If a sleek modern vanity is what you are looking for, then Eviva Smile has everything you need. 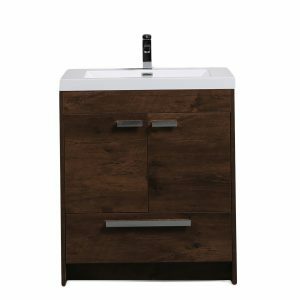 Eviva Smile 36 inch Rosewood modern bathroom vanity with an integrated white acrylic sink is one of the best collections Eviva has to offer. 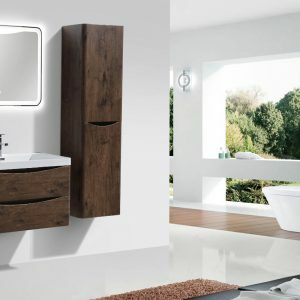 If a sleek modern look is what you are looking for, then the Eviva Smile has everything you need in a bathroom vanity. 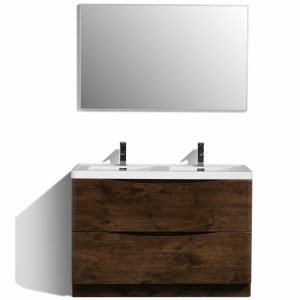 Eviva Smile 48 inch rosewood modern bathroom vanity with an integrated white acrylic sink is one of the best collections Eviva has to offer. 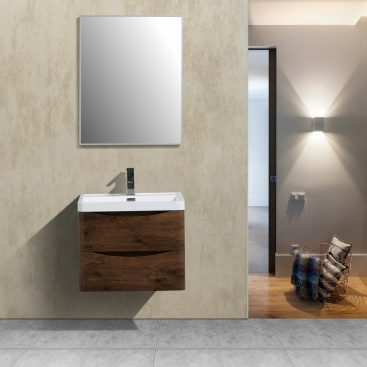 If a sleek modern look is what you are looking for, then the Eviva Smile has everything you need in a bathroom vanity.